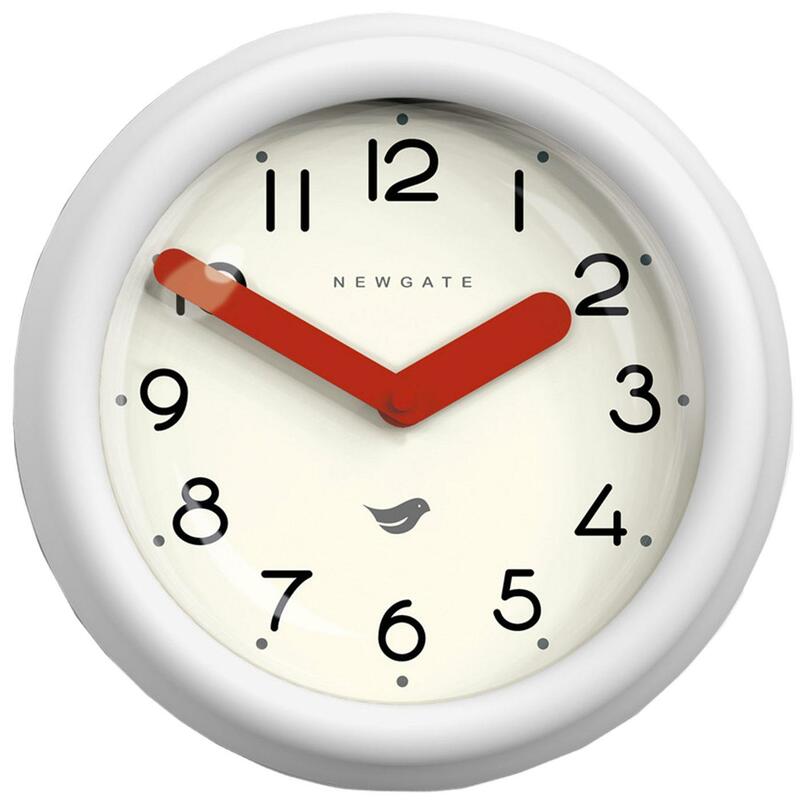 Newgate Pantry Retro wall clock in Pebble White. A contemporary fun design packed with fab Retro details. Silicone matte case in a classic pebble white colourway will add a stunning vibrant splash to any wall. Small but deep design makes it ideal to fill any space. 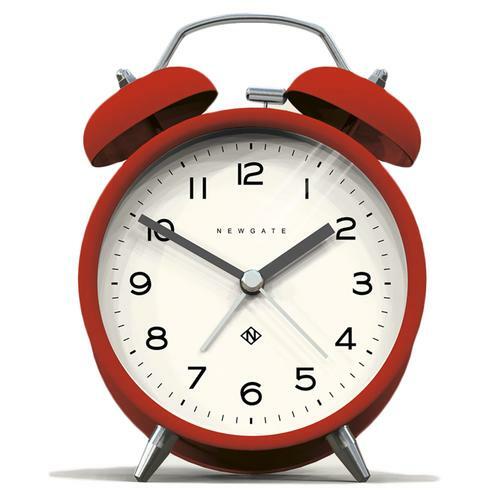 Playful chubby lolly stick style clock hands in red continue the fun aesthetic. Funky yet neat Arabic dial infuses pop style and a groovy Retro influences. Deep design will make this a stand out piece in your kitchen, pantry or any room for that matter. 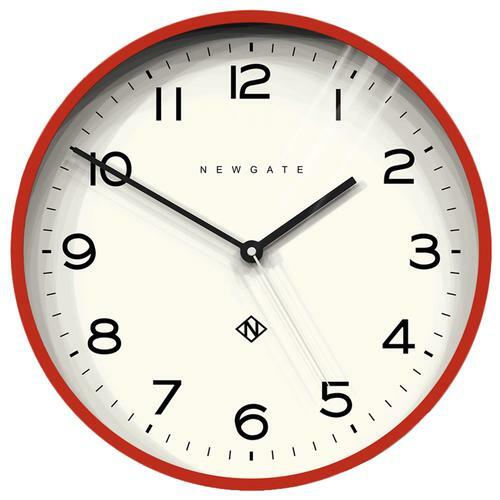 Newgate The Pantry wall clock in Pebble White. Arabic dial with grey brushed metallic lolly stick hands and glass lens. 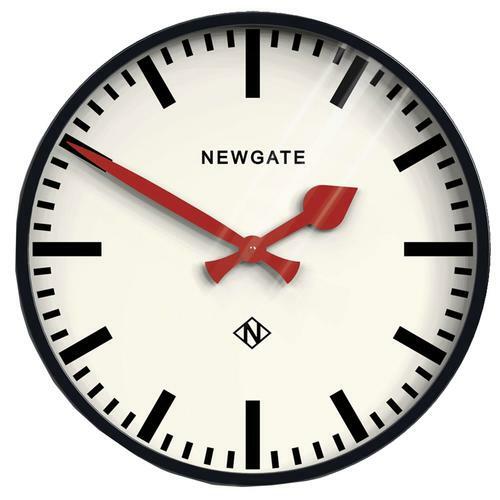 Vintage off white clock face with bird logo and 'Newgate' sign off. Composition: Silicone finished acrylic wall clock with glass lens.